June | 2014 | Welcome to the world of NECCO! 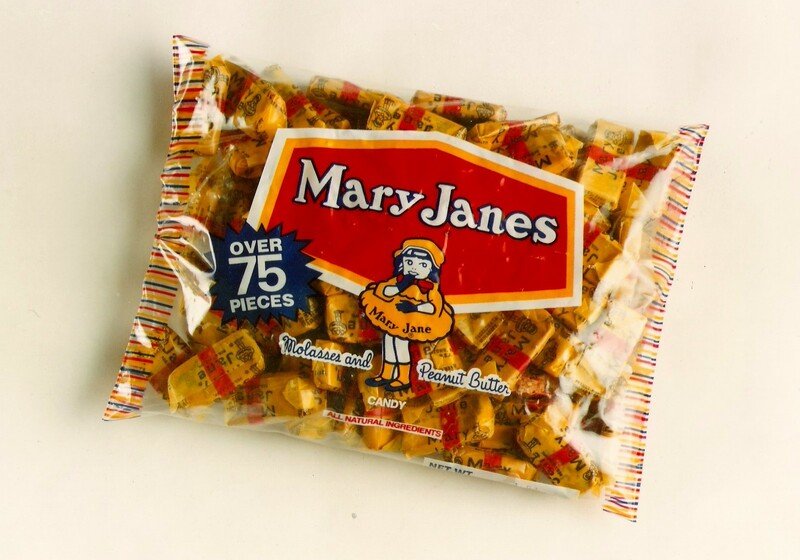 In 1914, the legend of Mary Jane began. Inside a small shop that used to be the historic home of Paul Revere in Boston’s North End, the Charles N. Miller Company set forth to create a delicious chewy treat for everyone to enjoy. Taking the name of the creator’s favorite aunt, this treat was sweet from the start, combining the tasty flavor duo of molasses and peanut butter. 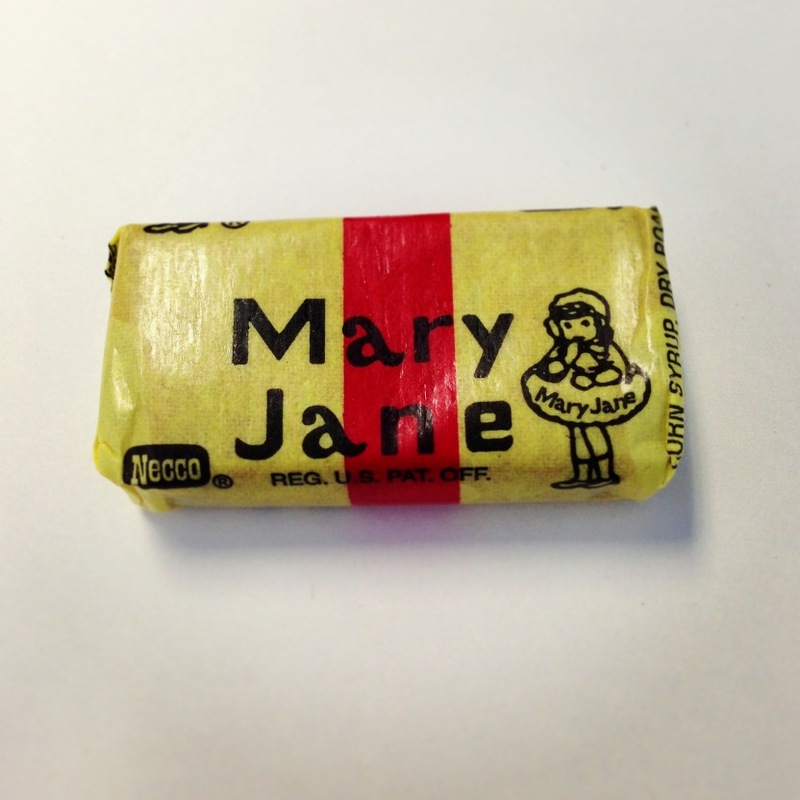 For decades, penny candy shops across the nation have encouraged fans to “use your change for Mary Janes!” So many of NECCO’s fans still share stories about their happy childhood memories taking a few dimes down to the corner shop to indulge on some fresh Mary Janes! 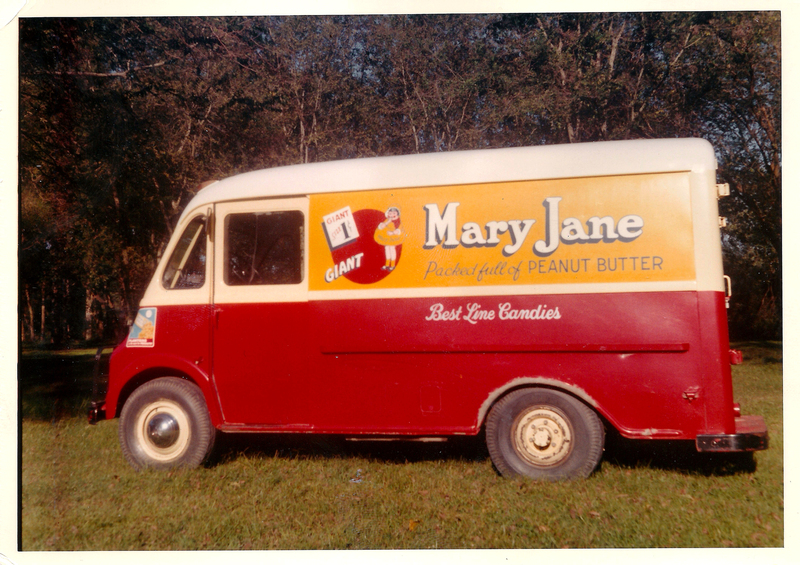 Soon after her creation, Mary Jane quickly became so beloved by fans that it was common to see her featured in many fun advertisements sent out across the nation. 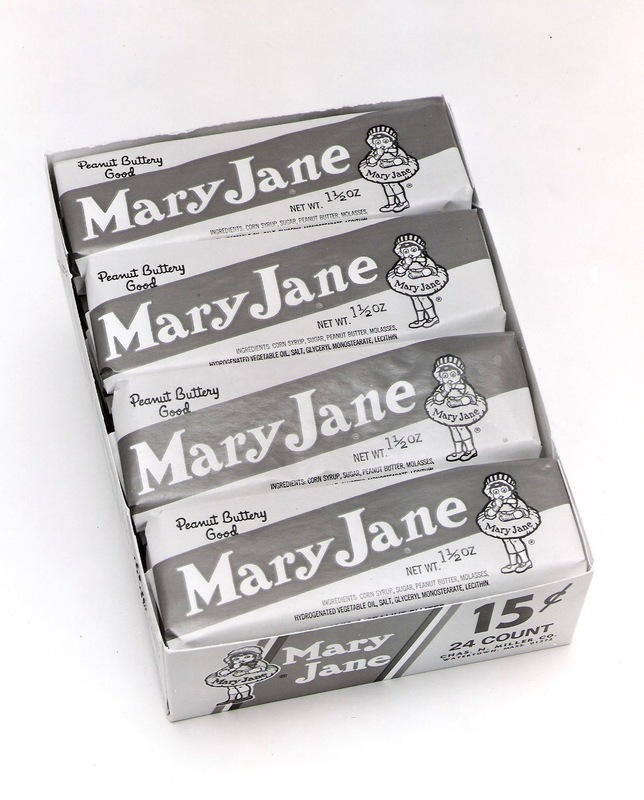 Many variations of the classic Mary Jane wrapper appeared over the years as different types of Mary Jane offerings were created. 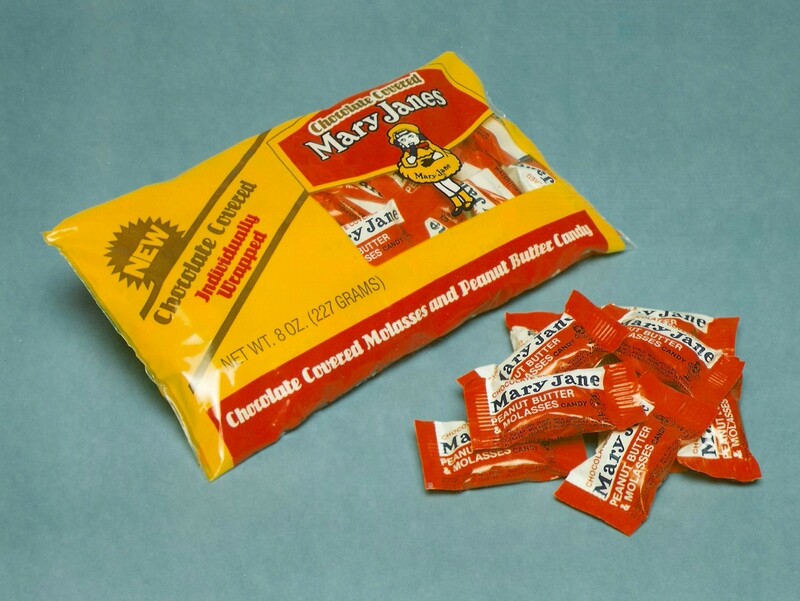 Also, much to the delight of the sweet tooth of all our fans, Mary Janes were even covered in delicious milk chocolate for a limited period of time! 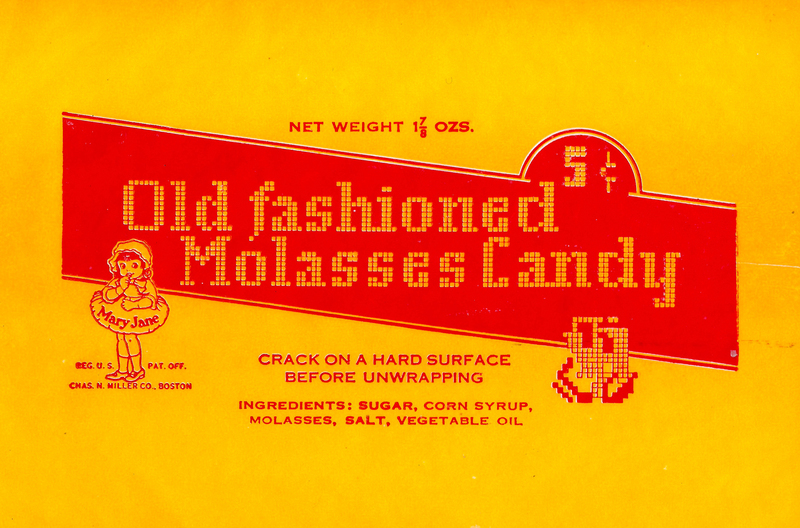 The popularity of this special peanut butter and molasses chew was widespread and passionate, and her sweet influence could be seen popping up in unique places across the country. 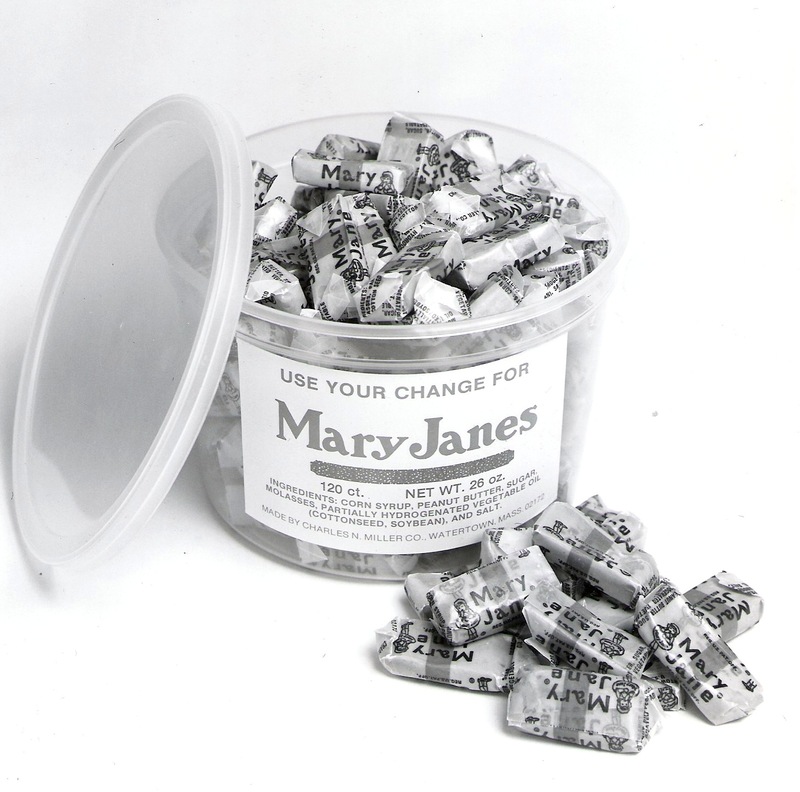 Over the years, the Miller Company tried several variations of the legendary Mary Jane mixture, but none could compare to the original. 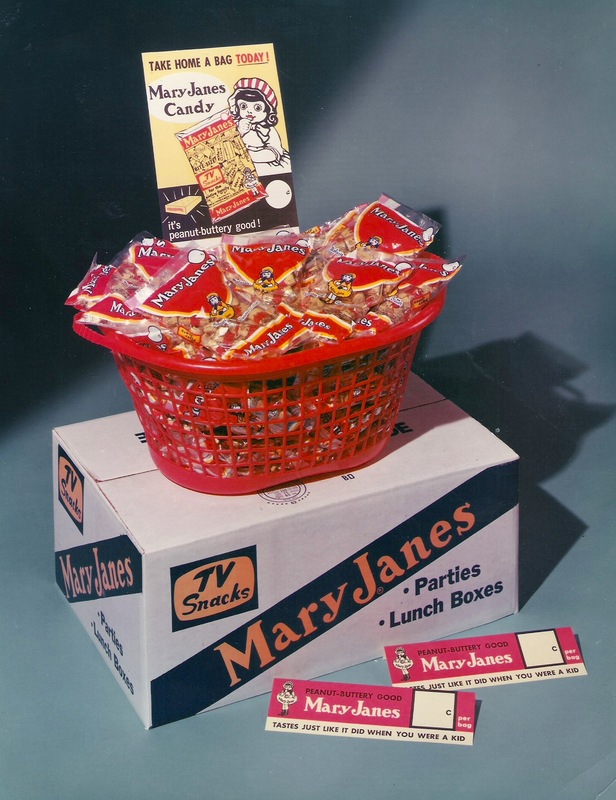 Also, none of the other treats dreamed up by the Miller Company could match the longstanding success of Mary Jane, which were a favorite for parties, snacks, offices, and anytime you needed something special and sweet! 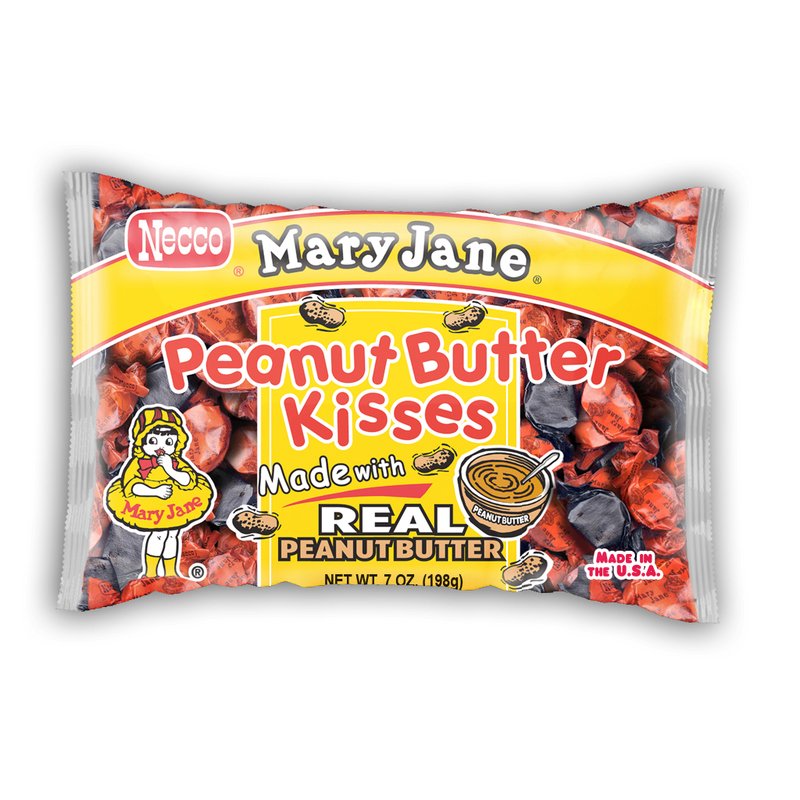 n 1990, NECCO purchased the Stark Candy Company, which at the time owned both the Mary Jane and Mary Jane Peanut Butter Kisses lines, both of which have seen tremendous growth with their new home. Every Halloween, trick or treaters across the country look forward to receiving those tasty Peanut Butter Kisses chews packed in their classic orange and black wrappers. 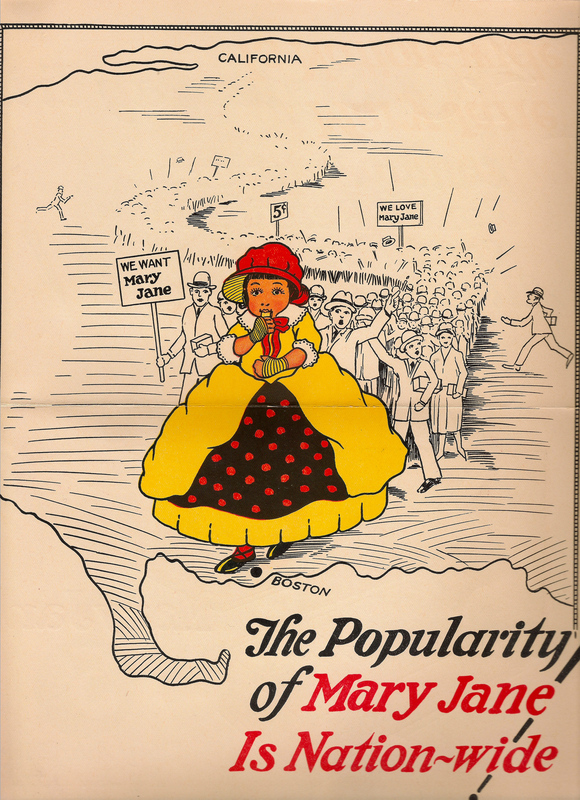 Though Mary Jane first came to be in 1914, not too much has changed. The gold wrapper with a bold red stripe still packs that same irresistibly delicious original peanut butter and molasses formula today as it did 100 years ago – what a sweet century indeed! 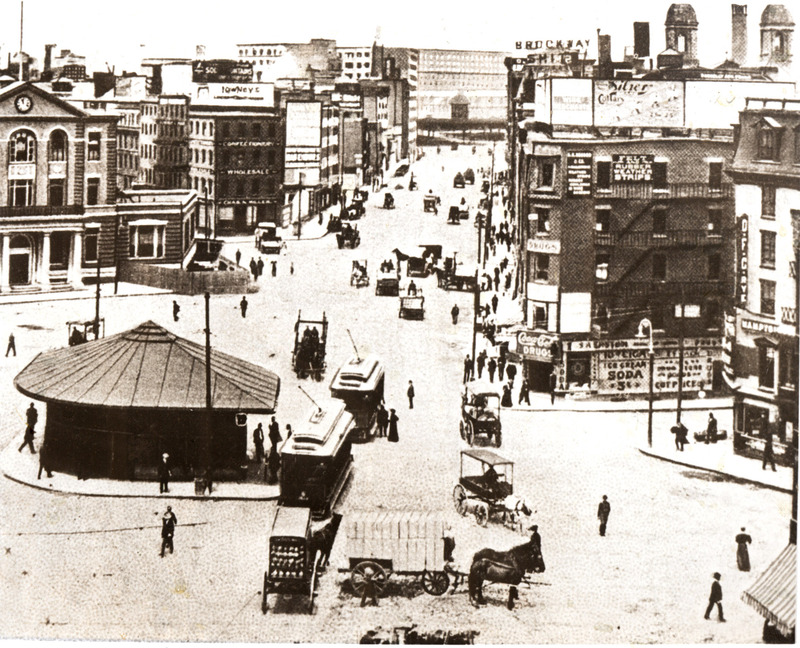 Categories: Events | Tags: Boston, candy, candy store, chews, childhood, chocolate, dessert, family, grandparents, Mary Jane, Mary Janes, molasses, NECCO, necco wafers, new england confectionery company, nostalgia, packaging, peanut butter, Peanut Butter Kisses, penny candy, retro, retro candy, sweets, vintage | Permalink.